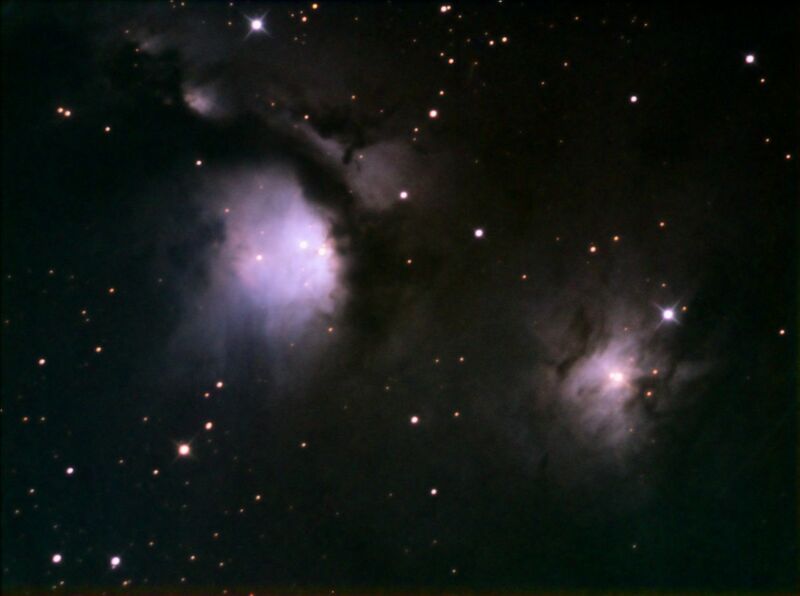 M78 is a diffuse nebula in the constellation of Orion. Messier 78 is 1600 light-years away. It is an interstellar dust cloud illuminated by young stars. This region is a true star nursery with several dozen stars forming, revealed by powerful jets of hydrogen characteristic of their young age. An image by "Chamois" (the person's pseudonym on the forum) taken with a CCD camera and a 200 mm diameter telescope.